AUSTRALIAN FICTION BOOKS: Novels, first Editions, Poetry and Short Stories by a range of authors including Banjo Paterson, Henry Lawson and more Use our Quick Search Box (at bottom of page) to locate books by searching for the book title, authors name or description.. We take pride in our excellent customer service with efficient packing & shipping world wide. See the About Us Page. All prices are in Australian (AUD) $. Author: Robert G Barrett this copy is DEDICATED by the author. This is A FIRST EDITION SIGNED COPY. 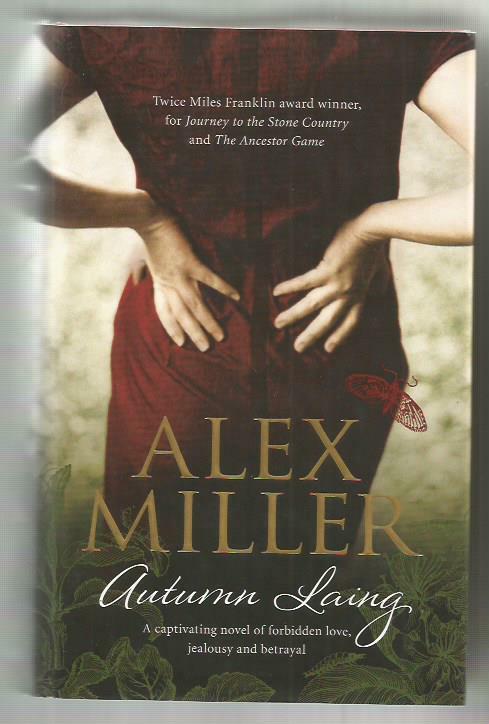 Publisher: HarperCollins P/L, Sydney 2003, First Edition, 1st printing, 280pp., softcover.SIGNED on titlepage. Condition:Crisp card cover, slight age-toning/yellowing to pages, inscribed/SIGNED "To Barry & Yvonne, all the best Bob Barrett", in GOOD CONDITION with an uncreased spine. Description: R G Barrett's latest (in 2003) Les Norton adventure. Set in Sydney, Melbourne, Lorne and Apollo Bay. A tale loosely based on the life and legacy of Rosaleen Norton, the infamous Witch of Kings Cross, Sydney. 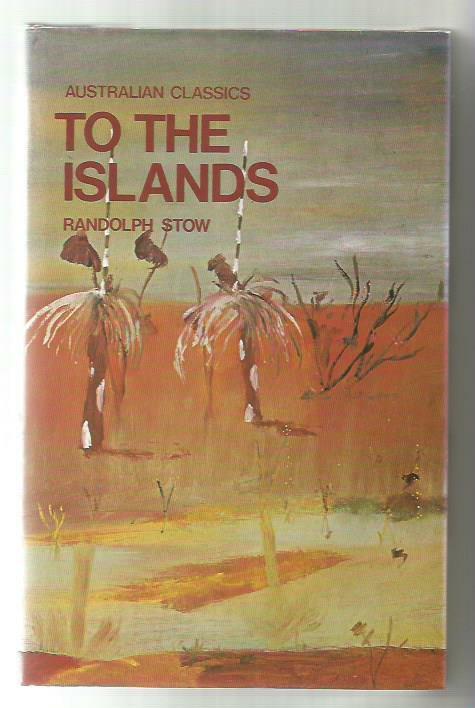 Publisher: Angus & Robertson, Sydney, 1981, revised edition, 1st pub. 1958, hardcover 8vo with dustjacket, 126 pages, brown endpapers. Condition:Crisp brown cloth-bound hardcover with white title to spine & front cover, no inscriptions, TIGHT, CLEAN & STRAIGHT in GOOD CONDITION in an unclipped GOOD DUSTJACKET with slight edgewear. Publisher: Allen&Unwin, Sydney, 2011, First Edition, hardcover 8vo with d/j, 452 Pages, Chapters, illustrated endpapers. Condition:Red cloth-bound hardcover with gilt title to spine, slight rubbing to spine & corners, CLEAN & TIGHT in VERY GOOD CONDITION, previous owner's name to front endpaper, in an unclipped GOOD DUSTJACKET with very slight edgewear. Description: A captivating novel of forbidden love, jealousy and betrayal. Publisher: Allen&Unwin, Sydney, 2009, First Edition, hardcover 8vo with d/j, 354 Pages, Chapters, green endpapers. Condition:Cream cloth-bound hardcover with gilt title to spine, minimal edgewear, CLEAN & TIGHT in VERY GOOD CONDITION, previous owner's name to front endpaper, in an unclipped GOOD DUSTJACKET with very slight edgewear. Description: This is a tender and enthralling story about the intimate lives of ordinary people. 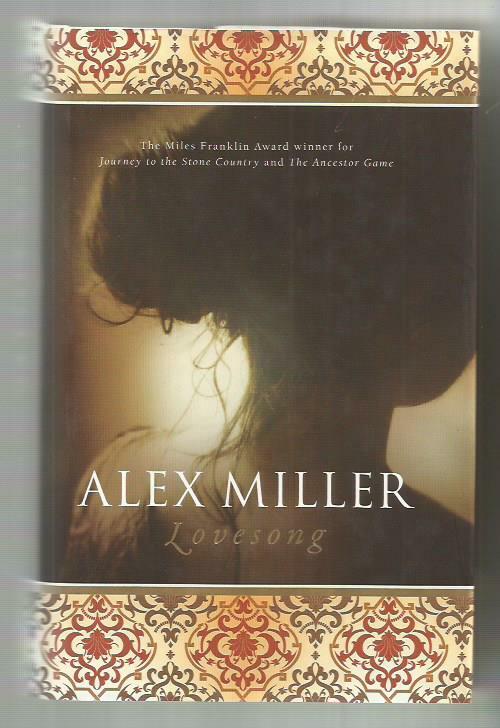 Miller locates the heart of his story in the moral frailties and secret passions of his all-too-human characters. from the d/j. Author: Patrick White, winner of the Nobel Prize for Literature.This is his final work published during his life. 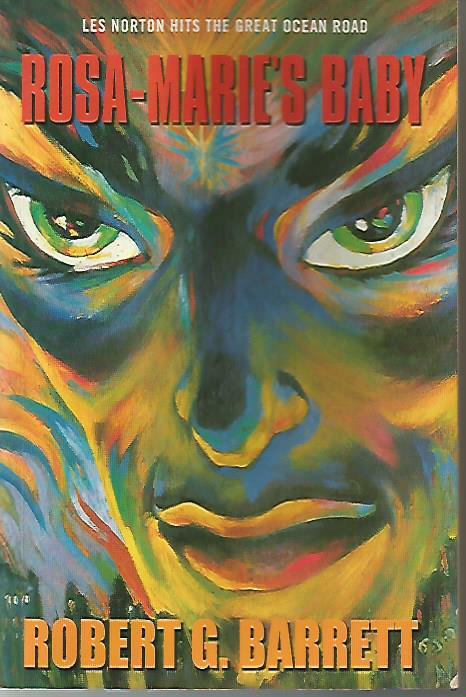 Publisher: First published in 1987 by Pascoe Publishing P/L, Fairfield 3078, Australia,59pp., 3 short stories. Condition:Paperback in GOOD MINUS CONDITION, with distress to top of front cover and age-toning to pages, INTACT & ROBUST with a name in pen to the half-title. 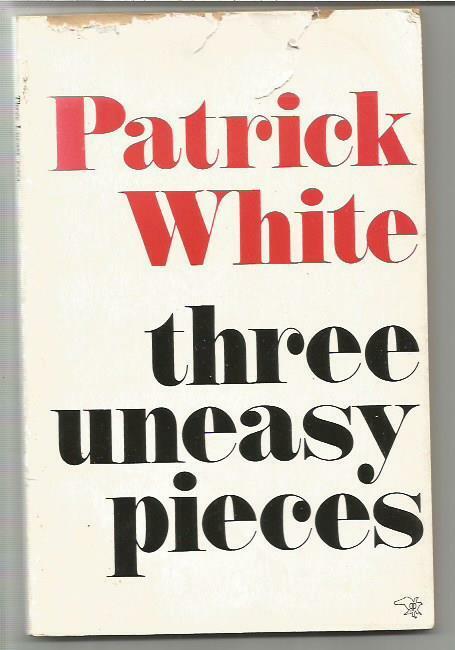 Description: The final work published in White's life...."Three Uneasy Pieces follows the progress of a wart. Superb writing as we would expect, with new shades and tones which may surprise" (from back cover). 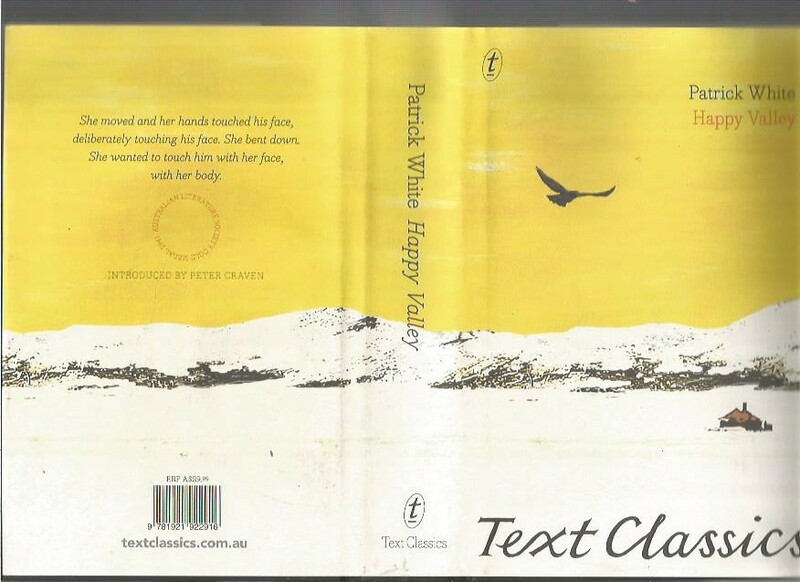 Title: HAPPY VALLEY by Patrick White 2012 Hardcover Text Publishing Edition with introduction by Peter Craven 407pp 1st Novel! Publisher: pub. The Text Publishing Co, Melbourne, 2012, first in this edition, Introduction, Patrick White's first novel, first published in 1939. Condition:Black cloth-bound hardcover with gilt title to spine, STRAIGHT, TIGHT & CLEAN in VERY GOOD CONDITION in a VERY GOOD DUSTJACKET with slight rubbing. Description: Patrick White's magnificent debut novel - first published 1939, long out of print and w a Text Classic. Based on Patrick White's own experiences in the early 1930s as a jackaroo at Bolaro, near Adaminaby in south-eastern New South Wales. 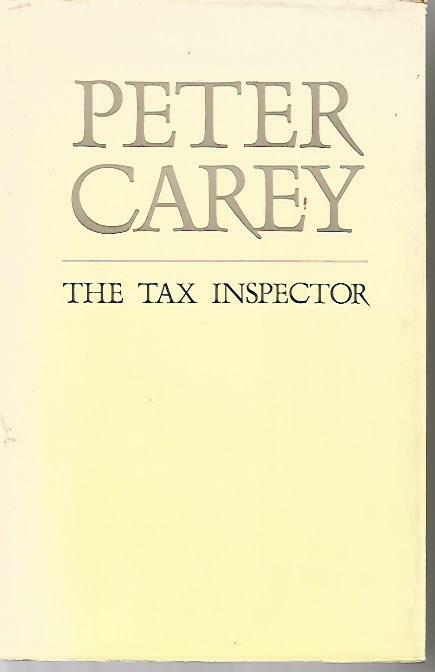 Author: PETER CAREY - Australian author - Winner of Miles Franklin, Booker Prize, New South Wales Premier's Award etc. Publisher: University of Queensland Press, Brisbane, 1991, First Edition, hardcover 8vo with d/j, 279pp, cream endpapers. Condition:Cream cloth-bound hardcover with title to spine & front cover, slight rubbing to spine & corners, CLEAN & TIGHT in GOOD CONDITION, previous owner's name to front endpaper, in an unclipped GOOD DUSTJACKET with slight edgewear. Description: The Tax Inspector is a dark and brilliant achievement that is illuminated, even in its darkest moments, with a rare humour and compassion. from the dustjacket. Publisher: Picador, Sydney, 2001, First Edition, hardcover large 8vo with dj, 465pp., Chapters, green endpapers. Condition:Black cloth-bound hardcover with white title to spine, slight rubbing to spine & corners, CLEAN & TIGHT in GOOD CONDITION, in an unclipped GOOD DUSTJACKET with minimal edgewear. Author's quirky signature to title page. Description: In prose as haunting and beautiful as its western setting, Dirt Music confirms Tim Winton's status as the pre-eminent Australian novelist of his generation. from the d/j. Condition:Straight, clean & tight in Very Good Condition, with the book designer's card attached. 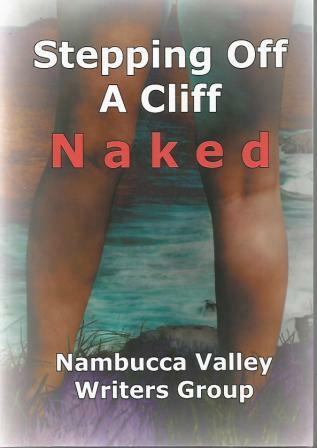 A celebratory anthology of the writing of the Nambucca Valley Writers Group in their 25th year.